Welcome friends to Natasha In Oz! Thanks so much for stopping by to say G'day! When most of us think of Spearmint, I am sure the first thing that comes to mind is chewing gum, breath mints and toothpaste! But did you know that Spearmint herbal tea offers certain digestive benefits? Like peppermint, chamomile and ginger tea, when enjoyed after meals, some studies have suggested that Spearmint tea can help Stop heartburn, as well as relieve gas pain due to bloating. Just don't drink it if you get acid reflux! Spearmint can actually trigger acid reflux as can coffee, alcohol and chocolate! It is also known as a good nausea and Stomach ache Soother. 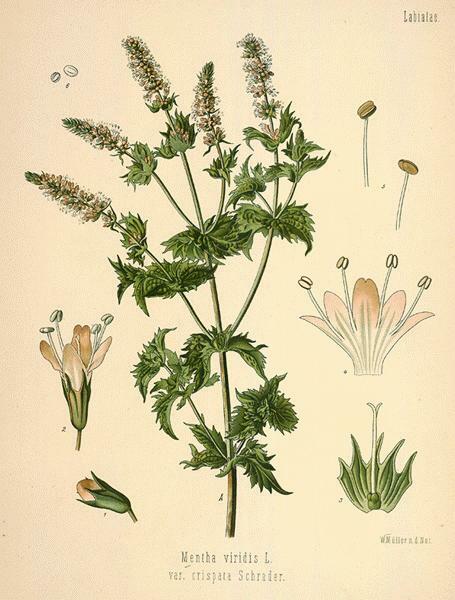 Spearmint aids in the natural digestion of food by helping the release of bile and stomach juices. I find it relaxing and calming. More recent Studies found that Spearmint tea had the effect of lowering libido in men and Scientists then wondered what it might do for women with hirsutism. Since excess hair growth is caused by higher than average testosterone levels, a tea that lowers testosterone seemed likely to help in this condition. At the end of the Study the women who drank two cups of Spearmint tea every day showed significantly less free testosterone in their bodies. Spearmint tea is more mild and less Stimulating than Peppermint tea and, because it is also naturally caffeine-free, I often make +Madeleine a cup of Spearmint tea and Serve it to her in the Tiffany Cup that we gave her when she was Christened. Did you also know that history reveals that the Romans used Spearmint as a refreshment for the mind as well as the body? It is the perfect tea to refresh and energize Miss M when she is Studying at her Sweet and pretty desk! Madeleine loves Silver, Seashells, Snow and Studying. 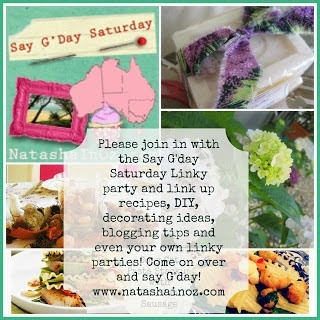 If you have a Spare minute please come visit our blog and say Hi! That's it from me for a while. now i am seriously craving spearmint! such a suggestive, creative post. Spearment is my choice for a gum flavor! 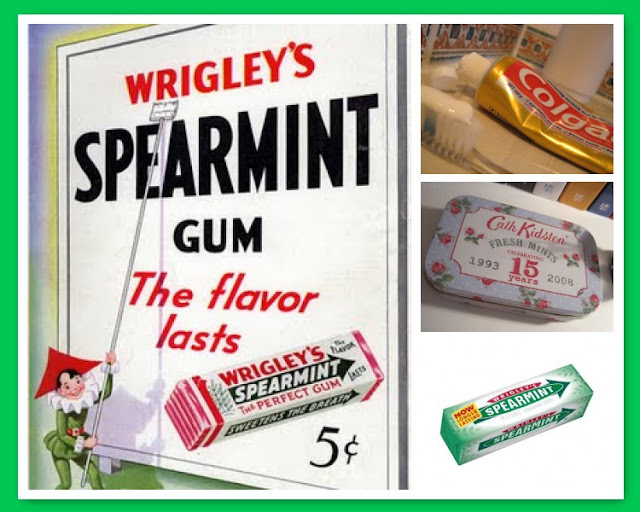 I always preferred spearmint over peppermint, did not like the bite of peppermint as much. I will say even with my fair amount of herbal knowledge I did not recall about the digestive qualities for heartburn, I will have to remember that next time. We have spearmint growing in our mint garden. I can't wait to use some! Sissel came here to Utah and sang with the Mormon Tabernacle Choir, I think it was last year, love her voice! I have not tried spearmint tea but I know it is good for lots of things. Natasha, thank you for this very interesting S-Post. I didn't know about the difference of spearmint to peppermint and always have thought, spearmint is the more spicy one. I like sparmint or peppermint tea, made from the fresh plant with a bit sugar. I like to add a little sprig to iced tea! My Grandmom had it in her side yard, and I have some of that same spearmint transplanted in my side yard today! I really enjoyed my 5 minutes with you this afternoon, the mosaics & images are wonderful. Off to visit your other blog now. I did a post two days ago, on that song "The girl from Ipanema", with a version in Portuguese+English. Also I mentioned your blog there. Stop by sometime and take a look! Have a great day with a cup of tea! Spearmint is so refreshing! I really enjoyed your post. Great graphics and photos. Wow Natasha - I had no idea that spearmint was so beneficial! I just planted a peppermint plant but I might just have to go back out and buy a spearmint one also! Thanks for all the great tips. Natasha, So very nice to meet you. You have a lovely blog! I can remember my grandmother growing mint in her garden- it was everywhere! She used to brew up a tea for us kids when we had "tummy aches." I will need to explore more of your blog a bit later in the day. I'm off to make breakfast and go to work. I have a mint scented Scentsy (sort of a candle but not) and the main scent note is spearmint it is so vibrant and bright. Hello, Dear Natasha! Oh, for one so young you are so knowledgeable! Love Spearmint and love the tea. Didn't know all of the benefits though. Great graphics and information, Natasha! You always have a wonderfully interesting tea post. Thank you for sharing and for joining me for Tea Time. Hope you have a wonderful day. What fun you and your sisters must have! Your blog is beautiful. Great post. I'm going to have some spearmint tea TODAY! In my garden, I use that word loosely, I usually plant two small pots each of spearmint and peppermint plants probably every couple of years. Sometimes they do not winter over very well. I break off a sprig or two and put it in a small vase on my kitchen counter, so it is readily available for a cup or a glass of tea. There is usually one leaf that looks a little tattered because I crush it ever so slightly to release the pleasant aroma even more. Hi Natasha..awesome...a super lovely post..gorgeous mosaic!! Lovely sweet sisters..fun! Lovely sisters !!! ....and spearmintr is so nice and good taste !! ..,Especially I thank you for partaking once again with my 32nd,'Tuesday Tea For Two' and my 23rd, 'Wednedsay Tea For Me And Thee' @ The Plumed Pen! 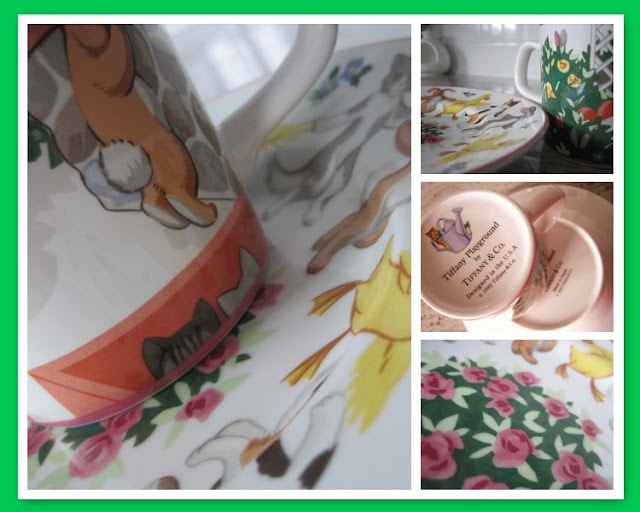 ..,Thanks so much also for joining in the fun with our new little meme that I am delighted to share with my dear friend Pamela @ Breath Of Fresh Air-Paper Butterfly blog, for this our 4th,'Teapot And Tea Things Tuesday'.~ Such fun! I love the spearmint tea feature and the sharing of your sisters pictures, as well as your delightful blog is simply wonderful!~ What lovely sisters you all are! 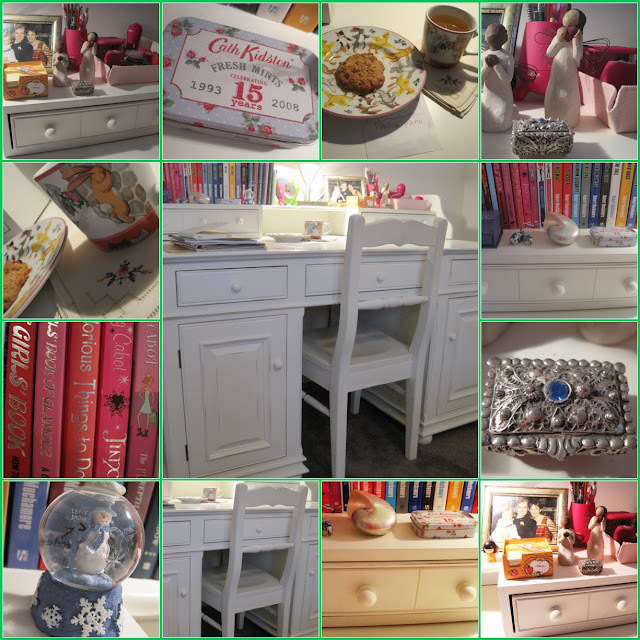 Oh my goodness, your daughter's desk is just beautiful! Wow! I've never been a big fan of tea until recently, I may just have to try out spearmint tea next! Thanks for stopping by to share my SITS day today, I really appreciate it! Thanks for the info on all the great benefits of spearmint. I am ready to go buy some spearmint tea! Sounds so refreshing now! I went and stocked up on different teas this am, thanks to being inspired by you Natasha. Splendid S post! I like adding mint that grows in my garden to my tea, but I don't know if it's spearmint or peppermint. ahhh, Such a Super Spring Spearmint post, my dear heart. Spearmint gum, yes, but I just can't seem to acquire a taste for any minty teas. Oh well, plenty more to choose from. Natasha...so informative...I must go buy some spearmint tea today! How great is your blog? Love all your inspirations. 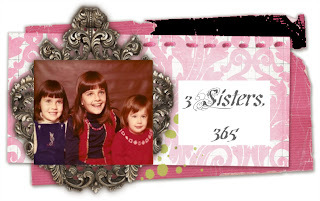 I also checked out 3 Sisters/365 - what a fun way to stay connected to your sisters! Thanks so much for visiting Shine Your Light. Glad to connect with you! Spearmint tea sounds delish! You're right, I think of gum! Cute little tea cup, too! ThankS for Sharing your Spearmint Story. So Sorry to hear Some people Shouldn't Sip Spearmint tea. Sadly I am one of them! Sneaky acid Reflux preventS me from itS beenfitS. Thanks for Sharing itS amazing propertieS, though!! It'S alwayS So Special to come and See you. I hope you a having a Sunny day! I'm not a mint tea person but the information was so interesting -- always good to have those factoids! Thanks for the post. Jane F.
We used to grow spearmint, but, like all mint, it's aggressive and will overtake anything in its path. Interesting, that part about the lowering testosterone. I didn't know much about spearmint. I need to get some tea to have around for tummy aches. Interesting and informative S-post. I did not know that much about spearmint. I grow mint and I love it in iced tea. I knew some of those things about mint, in general, but not spearmint in particular. I have had spearment tea, but right now, I am hooked on fennel seed tea. For gum, there is nothing like spearment. I love the information on spearmint tea, and a wonderful post. I didnot know all this. but I don't know where to find it. What is the latin name??? That was great fun, to learn all about spearmint. I've always been a peppermint tea fan. Now you have me wanting to try spearmint. Your photo collages are just wonderful! I'm assuming that Miss M is your daughter...haven't been reading you for very long...her desk is just darling! Dear Natasha, thank you for your kind comment left on my blog. I will consider joining you for the musical Sundays, but that will have to wait until I come back from my trip. Yes, I would love to visit Australia, I even think I would like to live there! My husband's job has offices over there and he is always dreaming about being transferred to Australia. I make mint tea for my kids all the time, I just boil some mint leaves in water and add sugar to taste, they love it. It's also good cold on a hot summer day. And it is soothing on a tummy! Have a great weekend, this week went so fast, can't believe we are almost into another weekend! What a wonderfully informative stop on our little journey through Alphabe-Thursday's Letter "S"! I did not know that difference between peppermint and spearmint. I did not know that Cath Kidson made a tin of mints. I did not know anyone could find a cute piece of vintage clipart to illustrate a post like this! Thanks for this really superb post! I loved spearmint so much better than any other mint gum as a kid. Your collage is wonderful and that color plate from the herb book is gorgeous. I wish I liked tea, I may have to give it a go again. Peppermint or Spearmint are both favorites here. Great post! What a lot of spearmint facts! I love herbal teas, and spearmint would always be my choice when I'm feeling 'off'. I love spearmint tea, too :) . I grow spearmint in my garden but never used it to make tea I just like that it grows well and smells good and I can't kill it :) Thanks for all of the great info!! i had no idea of all the health benefits of spearmint tea. i drink it because i like it...but now i am glad i do! What a lovely and very informative S post! Thank you for sharing so many things about Spearmint.